The ultimate in hospitality! 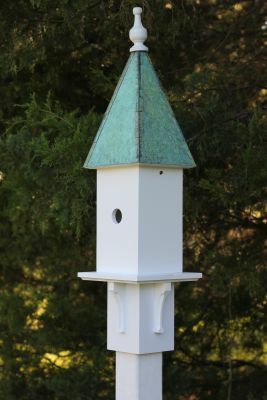 The handsome Songbird Station bids warm welcome to your invited guests-- come in! come in! Plus, cellular PVC construction with verdigris copper roof means easycare elegance and lasting beauty. Expect company to stop in and stay. Opening: 1.5” dia.